*This Treat was published on March 6, 2013. To avoid feeling overwhelmed, begin purchasing one or two food items for Passover each time you go to the supermarket. Store them separately from your regular food. Choose your favorite foods as a means of enjoying Shabbat meals. There’s a cute bumper sticker that says “I’m spending my kids’ inheritance.” If you were to ask whether the great Jewish scholars would approve of such an attitude, you might be surprised by the answer. The Talmud states, “Rab said to R. Hamnuna, ‘My son, do good yourself now if you can, for there is no enjoyment in she'ol [the grave] nor will death be long in coming. And should you say: "I would leave a portion for my children" -- who will tell you in the grave [if it is being used well]?” (Eiruvin 54a). This citation is not advocating leaving one’s children penniless nor spending money on frivolous items just for the pleasure of buying and having. It is could, however, be implying that one should not deprive oneself nor should one hesitate in spending money on mitzvot (giving charity, buying a nicer lulav) because one is saving the funds to pass to one’s children. It is interesting to note that further on in the Talmudic tractate of Eiruvin, it is asked what one who takes “possession of the property of a proselyte [should] do that he will be worthy of retaining it? Let him purchase with it a scroll of law” (64a). The presumption here is that the convert does not have any heirs. In the secular world, wealth is almost always seen as a blessing, especially inherited wealth. The traditional Jewish attitude toward money, however, is that it is given to a person as an opportunity to do good. The writing of Torah scroll is costly, but one can participate in the writing of a Torah scroll by sponsoring one letter. 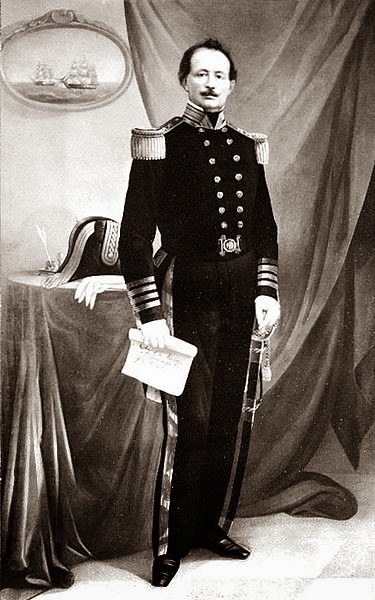 In honor of the anniversary of the founding of the United States Navy in 1794, which is tomorrow, March 27th, Jewish Treats presents a biography of Uriah P. Levy, the U.S.’s first Jewish commodore. Today is Levy’s yahrtzeit on both the Jewish and the Gregorian Calendar. Born in Philadelphia in 1792, Levy took to the seas early (some sources report that he was 10 and that he returned home for his Bar Mitzvah, others indicate that he was 14) when he signed on as a cabin boy. Levy joined the navy when he was barely 20. His military skills were immediately put to the test as the United States entered the War of 1812 against England. While Levy’s early assignments kept him on the Atlantic seaboard, he joined the crew of the Europe-bound U.S.S. Argus in 1813. When the Argus captured the British “Betty,” Levy was made Acting Lieutenant and put in charge of the valuable prize ship. Unfortunately, in August 1813, the Betty was captured by the British, and Levy remained a prisoner until December 1814. Not surprisingly for the era, Levy’s career was sometimes jeopardized by fellow officers who disliked him because he was Jewish. Additionally, Levy faced animosity due to his outspoken opinion against flogging. (He is considered the father of the anti-flogging bill that was passed in 1850.) In 1857, Levy was “downsized” along with 48 other officers but, after appealing his dismissal, was reinstated. Shortly thereafter he was given command of the Mediterranean fleet. "I am an American, a sailor and a Jew." Outside of the navy, Levy made many successful New York real estate investments and was well-known for having purchased and restored Thomas Jefferson’s historic Monticello estate. Levy was also a philanthropist who took particular interest in Jewish causes. Levy was the first president of the Washington Hebrew Congregation and an active member of New York’s Shearith Israel Congregation. He passed away on March 26, 1862. Be positive about opportunities to be philanthropic. Did you know that even in the days of the Talmud there was such a position as court stenographer? The establishment of a court system and a clear system of justice are fundamental mitzvot for Jewish society. It is not surprising that the Talmudic tractate Sanhedrin is dedicated to the discussion of the Torah's court system. In fact, the entire body of the Talmud contains a wealth of fascinating features, many of which have been adopted widely and are reflected in the Western court systems today. For instance, the aforementioned court stenographer. The image of the court stenographer is familiar from popular courtroom dramas on television. The job of the court stenographer is to transcribe every word spoken in the courtroom so that a written record remains. While the art of stenography is a modern development, the importance of recording the activities of the court was noted in the Talmud: “Two judges’ clerks stand before them [the judges]...and record the arguments of those who would acquit, and those who would convict. Now, as for the arguments for conviction, it is well [that they be recorded], for on the following day another argument may be discovered, which necessitates postponement of judgment overnight (All final convictions were postponed overnight in case one judge decided to change his previous conclusion and acquit instead of convict. ).” (Sanhedrin 34a). While the rest of the passage is of a more complicated nature relating to the proper way to interpret scriptural law, it is clear that the purpose of these court recordings was to prevent what we today might call a miscarriage of justice leading to a mistrial. Judge the behaviors of others as you would wish your own behavior to be judged, with the benefit of the doubt. There is a fascinating story in the Second Book of Kings about an enemy general, an Israelite prophet and a greedy servant. The Aramean General Na’aman suffered from the biblical disease of tzara'at (often referred to as leprosy). Among Na’aman’s servants was a captured Israelite handmaid who suggested that the prophet Elisha could heal the general’s affliction. Na’aman received the King of Aram’s permission to go for healing and received a letter to the Israelite king. King Jehoram did not know what to do with Na’aman. He worried that Na'aman could not be healed and that the Arameans were looking for an excuse to make war. However, when Elisha the prophet heard of Na’aman’s afflictions, he requested that Na’aman be sent to him so that the Aramean would “know that there is a prophet in Israel” (ibid 5:8). By healing Na’aman, Elisha would be making a kiddush Hashem (sanctifying the Name). Elisha’s emissary then instructed Na’aman to wash himself seven times in the Jordan River. Na’aman was furious! Not only did Elisha slight him by not greeting him personally, but he provided what appeared to Na’aman to be a mindless cure. If the cure was as easy as washing in a river, Na’aman could have done such in the great rivers of Aram and would not have traveled all this way. 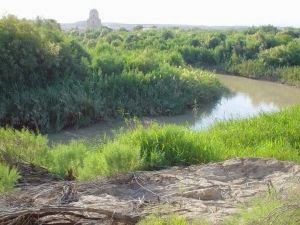 Na’aman’s servants calmed him down and convinced him to just give the Jordan River a try. When the cure worked, the Aramean general returned to Elisha, declared God’s greatness and forsook further idol worship. Elisha refused all payment, much to the consternation of his servant Gehazi. After Na’aman’s departure, Gehazi slyly ran after him and told Na’aman to give him silver and garments for sons of the prophets. Grateful for the cure, Na’aman did so. Gehazi took payment, hid it and returned to Elisha. When asked where he had gone, Gehazi said that he had not left. Elisha, however, knew what Gehazi had done and chastised him for it. When Gehazi left Elisha’ presence, Gehazi had become a leper. Helping another person has many benefits beyond just the actual act of helping. Human beings gather information about the world around them through their five senses. Of those senses, the sense of smell is often the most under-estimated, and yet it is said that smells can have the most psychologically provocative effect. A specific fragrance can makes us happy, sad, hungry, or even fearful. Indeed, it says in the Book of Proverbs: "Ointment and perfume rejoice the heart” (Proverbs 27:9). Perhaps, then, it is not surprising that the Midrash refers to the ketoret, the ancient incense offering of the Temple, as being “more precious than all the sacrifices” (Numbers Rabbah 18:8). The ketoret is introduced in Exodus 30:34-38, which refers to a combination of stacte, onycha, galbanum and frankincense. According to the Talmud (tractate Kretot), the ketoret was actually composed of many more ingredients, but these four were the primary spices. Like many of the items used in the Mishkan (Tabernacle) and the Temple, the true ketoret formula is no longer known. One could certainly attempt to combine the listed ingredients, but this would actually be a violation of separate Torah commandment that states: “And the ketoret that you shall make, according to the composition thereof, you shall not make for yourselves; it shall be holy to you for God. Whosoever shall make similar [shall try to replicate it], to smell thereof, he shall be cut off from his people.” (Exodus 30:37-38). Wishing you all a happy Fragrance Day. Buy some flowers to decorate your Shabbat table. Although New York has one of the oldest Jewish communities in the United States (the first Jews arrived in 1654), the first openly Jewish mayor of New York City was not elected until 1974. * His name was Abraham Beame, and he unabashedly loved New York. Beame’s parents (last name originally Birnbaum) were from Poland, but he was born, on March 20, 1906, in London. Three months later his family settled on the Lower East Side, New York. As an adult, Beame studied accounting. He and his wife Mary (née Ingerman), whom he met at a Lower East Side Social Services Center, were both active members of the Democratic party. In 1961, Beame, who had previously served as the city’s Budget Director, was elected city Comptroller. Four years later, he unsuccessfully ran for mayor against John Lindsay (winner) and William F. Buckley. Two terms later (1973), his bid for mayor proved successful. The 1970s were a difficult decade for politicians across the nation. Unfortunately, Mayor Beame was immediately faced with a harsh fiscal crisis (created by overspending in the previous administrations). His four years in office were marked by constant job cuts, wage freezes and service reductions, as well as a citywide blackout and the “Son of Sam” murders. On the other hand, during his time in office, the city successfully hosted both the 1976 Democratic National Convention and national Bicentennial celebrations. According to NYCitywoman.com’s Tthe First Ladies of Gracie Mansion,” the Beames were down to earth people. The article notes, in particular, that while Mrs. Beame did hire one of Jackie Onasis’ cooks, she continued to order her meat from a kosher butcher in Queens. During the 1977 Democratic primaries, Beame ran against six other democrats (including Bella Abzug). He placed third, and Ed Koch went on to win the general election. While Beame received much criticism over the frightening fiscal situation, many later historians praised his scandal free administration and his attempts to rectify the previous financial mismanagement. Abraham Beam passed away on February 10, 2001. *It should be noted that Fiorello H. La Guardia’s mother was Jewish, but he practiced the Protestant religion of his father. Do not judge others, even public figures, because you may not know all of the background information. Ornithologists distinguish the birds they admire by their shape, size, eating habits, plumage and a host of other distinct features. Those looking at birds to determine whether they are kosher or not may be frustrated by the lack of easy-to-recognize features. 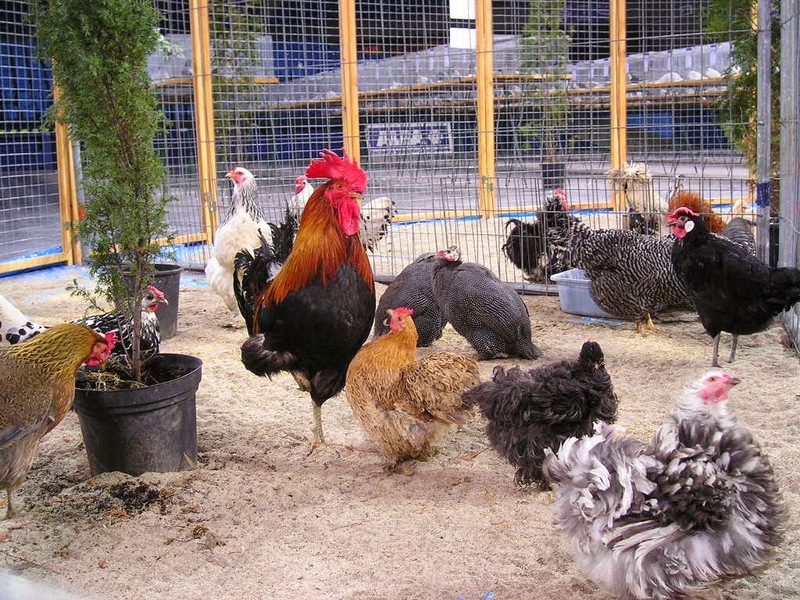 While the Torah declares that certain animals are kosher if they chew their cud and have split hooves and that fish are kosher if they have both fins and scales, no such specific markers are designated for birds. “The sages have established, "That every bird, which strikes its talons into its prey [predatory birds] is of the unclean: every bird which has an additional claw, a crop, and of which the internal coat of the stomach may be readily peeled off, is of the clean species." Rabbi Eleazar ben Zadok said, ‘Every bird which [when placed on a perch] divides its toes equally, is an unclean one.’” (Mishnah Chullin 3:6). March 19 is Poultry Day. Find out which stores in your area carry kosher chicken. The Book of Judges tells of the men and women who led the Children of Israel from the time of the conquest of the land of Israel by Joshua until the selection of the first king, Saul. These judges provided political acumen, guidance on Jewish law, and, often, military leadership. One tale of intrigue and adventure is that of Ehud the son of Gera. Ehud, who was from the tribe of Benjamin, led the Children of Israel while they lived under the dominion of Eglon, the king of Moab (a neighboring nation). While not much is known about Eglon’s reign, whether he was a kind or cruel, the fact that the children of Israel send Ehud to assassinate him leads one to believe that his rule was not benevolent. The first, and surprisingly, perhaps the most important, description of Ehud is that he was left-handed (Judges 3:15). Ehud went to the Moabite court of King Eglon under the pretense of bringing the king a gift. Ehud strapped his double-edged dagger to his right thigh. As left handed warriors were rare, none of the guards checked Ehud’s right side and he was not only granted an audience, but allowed to present his gift in private. Once alone with King Eglon, Ehud stated that he had a message for him from God. Ehud approached the king and stabbed Eglon in his belly. Eglon, however, was a man of great girth, and was stabbed so hard that he was unable to remove the blade. Ehud made his escape, locking the doors behind him. Eglon’s servants saw that the parlour doors were locked, and assumed that the King was relieving himself. They waited and waited, until they grew embarrassed that the doors had been locked for so long. Finally they opened the door to discover that their king was dead. Ehud returned home, rallied the army of Israel and overthrew the Moabites. Explore the fascinating narratives of the stories of the ancient leaders of the Jewish people. This Treat was last posted on February 25, 2013. This Treat was last posted on February 12, 2013. This Treat was last posted on February 22, 2013. Try to make it to synagogue to hear Parashat Zachor being read. Pay attention to the way small moments, often unexpected, move the flow of one's life and recognize the subtlety of Divine intervention. This Treat was last posted on March 8, 2011. Plan a nice dinner to break the fast tomorrow evening after nightfall. Rabbi Judah says: Hadassah was her name. Why then was she called Esther? Because she concealed the facts about herself, as it says” Esther did not make known her people or her family. Rabbi Nehemiah (offering an additional reason) says: Hadassah was her name. Why then was she called Esther? All peoples called her so after Istahar (a reference to the planet Venus, alluding to Esther’s beauty) (Talmud Megillah 13a). This Treat was last posted on February 24, 2013. If you are uncertain of your Hebrew name, ask your parents or a relative. This Treat was last posted on March 10, 2011. Begin preparing Mishloach Manot, gift baskets, to deliver on Purim. This Treat was last posted on February 15, 2013. Arrange your schedule for next Sunday with time to partake of all four of the mitzvot of Purim. Jewish Treats wishes every one a great Shabbat Across America and Canada. In less than seven maidens (this Friday), the Jews of North America celebrate Shabbat Across America and Canada. The holiday of Purim begins on Saturday night, March 15. This Treat was last posted on March 2, 2012.